My name is Barry K Winetrobe, and I chair the steering committee of the Bagehot Memorial Fund, which is based in Langport, Somerset, where my wife, Janet Seaton, and I now live. To give you some background: the aim of the Fund is to commemorate our small town’s most famous citizen, Walter Bagehot, the great Victorian writer and editor. Sadly, Bagehot is little-known or marked in his own home town, and we are determined to rectify this. Both Janet & I come from a parliamentary background, having worked at Westminster and Holyrood, and I have taught and written on public law and politics at a number of UK universities over the past 2 decades. So we were both very familiar with Bagehot and his work, especially on the constitution and government, and were delighted to move to his home town almost 6 years ago. 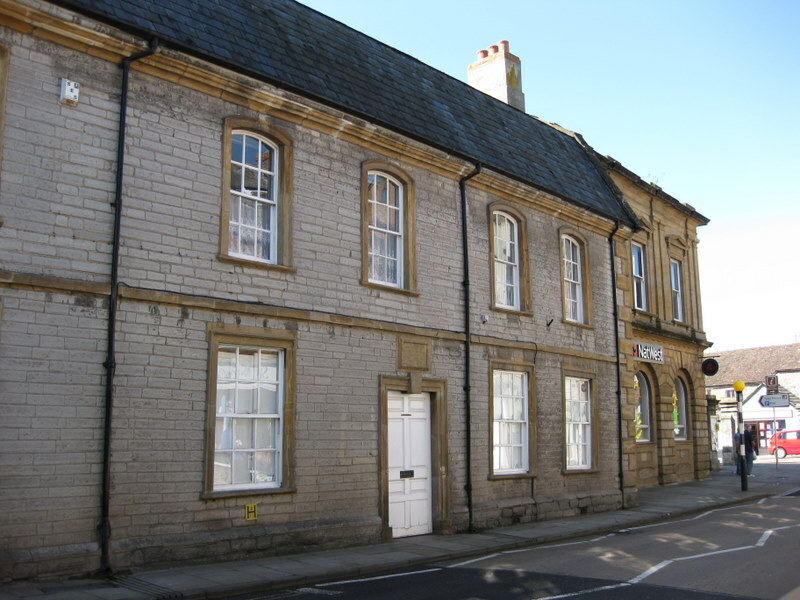 The Fund was established in 2011 under the auspices of the Langport Town Trust, a registered charity, and is run by a steering committee of interested local people. 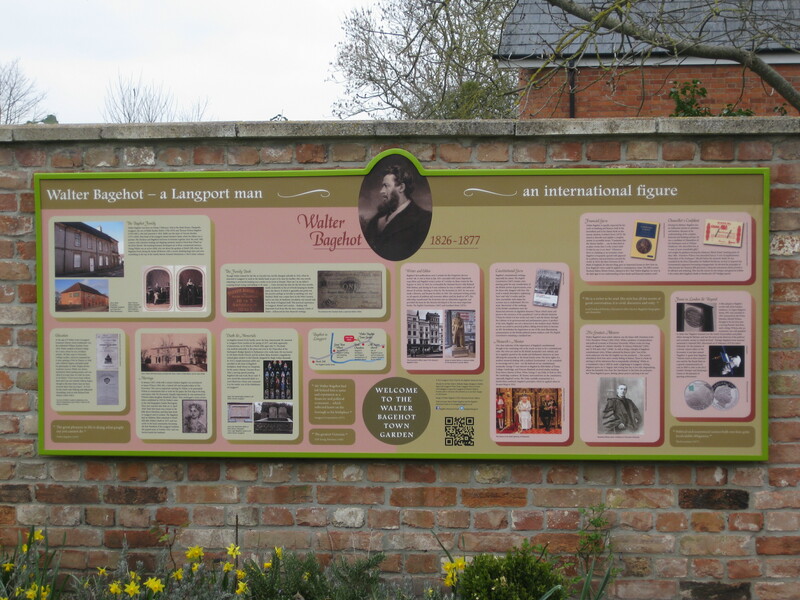 Our Fund has already commissioned and unveiled a splendid interpretation board in the newly renamed Walter Bagehot Town Garden in Langport. We have arranged the repair and regular maintenance of the neglected Bagehot gravesite in the local churchyard, and we organise the annual Bagehot Memorial Debate during the Langport Festival (this year’s motion was ‘Scotland & the Union’, featuring the politics professor and former senior Labour MP, Tony Wright, and Chic Brodie, an SNP MSP for South Scotland, as well as two students from our local Academy’s Sixth Form Debating Society). We are also gathering a Bagehot Collection – initially from generous donations from the estate of Lord St John of Fawsley (who, as Norman St John-Stevas, the senior Conservative MP and Cabinet Minister, was Bagehot’s modern chronicler and biographer) and from The Economist (which Bagehot edited for 16 years) – and plan to make this available for public display and use in the town and on-line to the wider world. We run Twitter (@bagehotlangport) and Facebook accounts, and are constantly expanding our website on ‘all things Bagehot’: www.bagehotlangport.co.uk. We have an impressive list of founding supporters including University College London (where he was an outstanding student), the political historian Prof Lord (Peter) Hennessy, Sir Antony Jay (co-writer of Yes Minister and Yes Prime Minister), the writer and journalist Ruth Dudley Edwards and Sir Graham Watson MEP, and have had invaluable support from the likes of Robert Peston, the BBC’s Business Editor, and the Woodrow Wilson Presidential Library (Wilson was a huge admirer of Bagehot and made a pilgrimage to his grave in 1896). We have launched a public appeal to continue and expand our work, details of which are in the documents which can be read on the Fund’s website www.bagehotlangport.co.uk, in the ‘Public Appeal’ and ‘How to Donate’ sections. Please support our efforts to commemorate one of our most important and influential constitutional writers, by making a donation to the Fund, and by spreading the word of the Bagehot Memorial Fund among your colleagues, friends and family, and through your organisations. The Fund can be contacted via its Administrator, Robin Williams, at Clerk@langport-tc.gov.uk, or 01458 259700, or directly to me at barry@seatrobe.co.uk or bagehot@seatrobe.co.uk. Robin and I are happy to provide any further information or answer any queries about the Bagehot Memorial Fund. Please help us preserve the memory of Walter Bagehot. This entry was posted on August 16, 2013 by UKCLA in Uncategorized and tagged Walter Bagehot.